For over 18 years Riverhill Farm has been providing the community with delicious, organic fruits and vegetables. 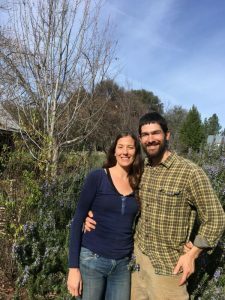 They are proud to be both stewards of community health, and the ecological integrity of the land. 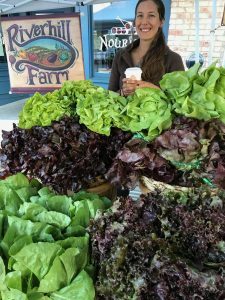 You can find Riverhill at their farmstand/berry U-pick located just a few miles outside of Nevada City, and at the Nevada City Saturday Farmers Market. Their produce is also available at the BriarPatch Co-op, and on the menus of several local restaurants (including Three Forks Bakery and Brewery Co., Heartwood, and Lefty’s). Join our hosts Antonio Garza and Daylin Wade for the final Sierra Harvest potluck of the 2019 season! U-Pick berries take place on Wednesdays from 2-6pm along with the farm stand open for produce purchasing too at the farm. Come at 5:30 for a tour of the farm with farmer’s Antonio and Daylin. We’ll circle up for dinner at 6:10pm. Riverhill Farm is located at 13500 Cement Hill Road in Nevada City. From Hwy 49 turn right onto Cement Hill Rd. Go 3.5 miles to the very end of Cement Hill Rd., follow signs to Riverhill Farm. Parking on the right.